(2008). Levels of PM10 and its Chemical Composition in the Atmosphere of the City of Isfahan. Iranian Journal of Chemical Engineering(IJChE), 5(3), 62-67.
. "Levels of PM10 and its Chemical Composition in the Atmosphere of the City of Isfahan". 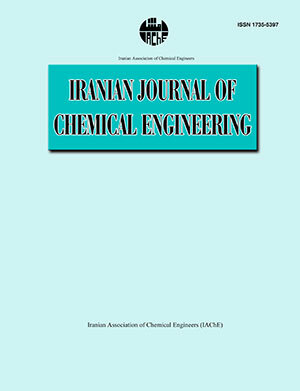 Iranian Journal of Chemical Engineering(IJChE), 5, 3, 2008, 62-67. (2008). 'Levels of PM10 and its Chemical Composition in the Atmosphere of the City of Isfahan', Iranian Journal of Chemical Engineering(IJChE), 5(3), pp. 62-67. Levels of PM10 and its Chemical Composition in the Atmosphere of the City of Isfahan. Iranian Journal of Chemical Engineering(IJChE), 2008; 5(3): 62-67. Airborne particulate matter (PM10 ) was collected from the atmosphere of the city of Isfahan. The concentration of heavy metals and anions associated with airborne particulate matter were determined using atomic absorption spectrometric and ion chromatographic techniques. A comparison was made between the variation in the concentration of PM10 and that for heavy metals and CO. An excellent similarity was found between the variation model of PM10, heavy metals and CO. Due to the atmospheric concentrations of heavy metals, the enrichment factors were calculated and showed that the well-known toxic heavy metals are mostly released into the city atmosphere from anthropogenic sources.